A crack user may be considered "an abuser" if that use becomes problematic, creates difficulties at home, work, and/or school, as well as if other negative behavioral and psychological consequences exist. The prevalence of crack abuse in the U.S. is around 1.2% of the population, although some researchers have found that crack cocaine use has been on the decline since 2002. Crack, or 'crack cocaine,' is a modified, usually less pure form of cocaine made by heating or "cooking" it with a free base, such as baking soda. On the street, crack cocaine is often found in rock crystal form. Crack is taken into the body primarily by smoking. Usually, a crack user heats the crystals and inhales the vapors that are produced. It must be noted that, according to the National Institute on Drug Abuse (NIDA), there is no safe way to use crack. Cardiac, neurological and gastrointestinal problems. Respiratory problems, such as coughing and chronic bronchitis (usually common with inhaled drugs). According to the National Institute on Drug Abuse (NIDA), there is no safe way to use crack. Crack produces its effects by altering the dopamine-rich "reward pathway" (or mesolimbic system) of the brain. The alteration of this system is implicated in the cognitive difficulties following crack use. Crack abuse leads to tolerance, withdrawal and craving. Elevated vital signs (including temperature, heart rate and blood pressure). While crack users typically do not inject the drug directly into their veins, there are still risks for contracting diseases (such as HIV or Hepatitis) with crack use. These occur as a result of impaired judgment while high on crack that can cause an individual to engage in promiscuous sexual relations or intravenous drug use. Some of the acute effects of crack inhalation can progress into a more serious disorder called crack lung. In severe cases, crack lung can cause inflammation and bleeding of the lung (at the cellular level), which can lead to acute hospitalization, emphysema, increased risk of cancer, and even death. Crack use becomes especially risky when it is combined with other substances, such as alcohol, prescription drugs, heroin, or designer drugs (such as "bath salts"). Many of these drugs work on the same pathway in the brain and serious consequences are possible when this pathway is over stimulated. at once or adding alcohol consumption to their prescription drug regimen. Either way, the effects of combining substances are more profound than the use of any single substance, and unintended consequences, including increased risk of a fatal overdose. Polysubstance abuse (the abuse of several substances at once) requires more complex treatment than single substance abuse, and should be taken into serious consideration when being evaluated for treatment options. Taking crack in larger amounts or over a longer period than intended. Persistent desire or unsuccessful efforts to decrease or control crack use. Great deal of time spent in activities necessary to obtain, use, or recover from the effects of crack cocaine. Recurrent crack cocaine use that results in problems at work, school, or home. Continued crack cocaine use despite social or interpersonal problems associated with its use. Typically, if users meet 2 or more of these criteria, it is likely they have a crack use disorder, and should seek the appropriate help from a professional. Genetics (though not always the case, sometimes those with genetic predispositions to addiction do not have the disorder and vice versa). Age when crack was first consumed. Social situations and peer pressure. When crack use gets out of control, it is important to seek help from a recovery program. Craving (a very strong desire to use crack). Tolerance (an increasing amount of crack needed to achieve the same effect). Physical dependence (occurrence of withdrawal symptoms when the user stops using crack). If you or a loved one is exhibiting any of these symptoms, trained specialists are available to offer information about treatments available in your area (ranging from outpatient counseling to residential detox and rehab programs). For guidance on the best treatment options, call today and speak with someone in our treatment support team at 1-888-993-3112Who Answers?. Locate an NA Meeting Narcotics Anonymous, or NA, uses a 12-step approach to help people who are addicted to crack. Find a meeting for you or your loved one. Bringing up the subject of seeking treatment for crack abuse is very difficult. In fact, many friends and family members are afraid of confronting their loved one. It is important to remember that your loved one needs your support more than anything. Some families approach their addicted loved one using a professional (colloquially termed an "intervention") while others approach their loved one alone or with a small supportive group. 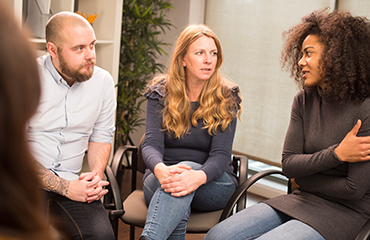 Established support groups exist in general for families of addicted persons, such as Al-Anon and Nar-Anon. If you feel like a support group is not right for you, then consider seeking help from a professional counselor; it is not uncommon for family and friends to seek counseling. Unfortunately, there are no FDA- approved medications to treat cocaine addiction at this time. The available treatment options are outlined below, including both inpatient and outpatient options. Remember, treatment options can be tailored to each individual's needs and can become as multifaceted as necessary to achieve desired results. Outpatient treatment is often preferred by people who need to continue with responsibilities, such as those related to work, home, or school. It also benefits people who may not want to reveal that they are seeking treatment for addiction. Cost is often a major influence on treatment decision, as outpatient treatments are considerably less expensive than inpatient treatment. Psychosocial treatment interventions address the psychological and social factors surrounding crack abuse. They use a combination of counseling, case management, group sessions and community education. These interventions are often accompanied by contingency management (CM). In CM, adherence to a treatment program (via the acquisition of a clean urine sample) is rewarded with a voucher or prize. CM has been shown to be quite effective in cocaine users, helping users achieve abstinence, as well as motivating them to stay in treatment. Cognitive behavioral therapy (CBT) is a more focused treatment approach that aims to prevent relapse. By learning what environmental stimuli cause the user to crave crack, he/she can recognize and avoid those situations if possible. Most importantly, CBT helps crack users cope with all of the psychological and behavioral problems associated with crack abuse. Inpatient treatment is usually advised for individuals who may require concurrent treatment for co-occurring conditions (both medical and psychiatric), or those who need ready access to medical help. Inpatient treatment may also be the best option for people who want to focus their recovery in a distraction-free environment. Residential rehabilitation programs (sometimes called therapeutic communities, or TCs) are comprehensive, live-in programs. Residents must live in the TC for a set period and follow all of the rules of the community. They share the premises with other substance abusers, and there is a strong emphasis on community involvement. Not only do residents receive counseling and group therapies, they also receive job training and help with reintegration into society when they are discharged from the residential program. 12-step programs--such as Cocaine Anonymous, a group similar to Alcoholics Anonymous--have been effective in some users, both to achieve and support abstinence. These programs are described as "community-based," and often do not involve a therapist per se. The meetings are led by a member of the community who has successfully stopped using. Evaluating treatment options can be a very overwhelming task, both for the user and family/friends. Please contact our treatment support specialists and they can answer any questions you may have about personalized treatment options and available programs in your area. Please call us today at 1-888-993-3112Who Answers? to learn more about the treatment options available to you. 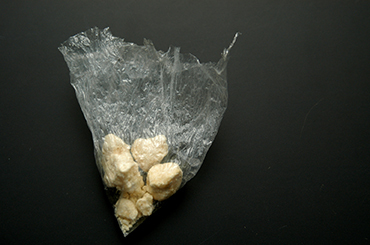 Teens are more likely to become dependent on crack. Researchers speculate that teens are at a high-risk for developing crack abuse over time, as the initiation of drug use at a younger age is a risk factor for developing an addiction later on in life. In the US in 2014, 1.8% of high school seniors admitted to using crack at some point in their lifetime. However, only 0.1% of persons aged 12-17 years admitted to crack use during their lifetime in 2013. While these numbers may seem low, remember that the prevalence of crack use in the U.S. is around 1.2%--high school seniors appear to have a higher prevalence than the general population. Often teens begin drug use with one of the "gateway drugs," such as marijuana, tobacco, or alcohol. However, some teens progress to "harder" drugs such as crack which, due to its short-lasting effect, can have great addiction potential, especially in a young user. Because teens' brains are still developing, they are at an elevated risk for crack dependence. Teens are also more likely to combine crack with other substances at parties, which can lead to an overdose and even death.